There are two types of people in this world, according to Anthony Bourdain: travelers and tourists. You don't have to be an avid fan of his food-and-travel series, Parts Unknown, to guess which category the former chef falls into. "Plans should be ephemeral, so be prepared to move away from them," Bourdain tells , explaining that the best adventures and local connections happen when he least expects it. For that reason, you'll never find him lining up for tourist attractions or partaking in an organized tour. "You can't take it in, driving by stuff. That's not satisfying," he says. Instead, he offers travel advice some might gawk at: Get lost, take risks, and talk to strangers. "It's those little human moments that are the ones that stick with you forever." Follow Bourdain's lead and be mindful of these three common travel mistakes next time you're abroad. "We tend to be overconcerned with safety and with cleanliness in ways that stand between us," says Bourdain, who points out that some of his most memorable travel experiences happen in places that don't tend to attract tourists. Destinations that top his list are Uruguay, which he describes as "affordable, [with] great food, great people," and Oman, which is "mind-blowing" and has an incredible desert landscape. "Getting out in the desert there with a Bedouin is an extraordinary, life-changing experience," he says. It's one thing to pen a rough plan and another to follow a rigid hour-by-hour itinerary. 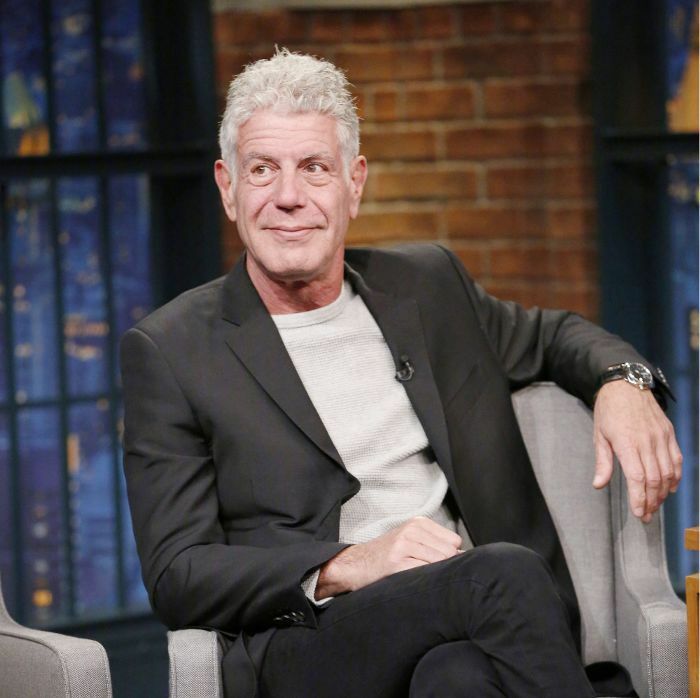 "It's punishing," Bourdain says of overly regimented schedules. "The sort of frenzied compression of time needed to take the tour, to see the sights, keeps you in a bubble that prevents you from having magic happen to you. Nothing unexpected or wonderful is likely to happen if you have an itinerary in Paris filled with the Louvre and the Eiffel Tower." Bourdain is naturally skeptical of restaurant recommendations on websites such as Yelp and TripAdvisor. "I don't see them as reliable, because you don't know what people's priorities are," he explains. Instead, he's found a better way to uncover insider tips, which he dubs "provoking nerd fury." Before a trip, Bourdain will post a message on a foodie website like Eat Your World or Chowhound, saying he's just visited and had the best meal at a generic restaurant. "The torrent of informative abuse that will come your way from people who want to tell you how stupid, witless, and uninformed you are will be very instructive," he says. "It will, of course, mention the tiny little place, the tiny little trattoria ristorante that they experienced." Genius.